Some people have the idea that the more compliments they throw out, the more likely the receiver will comply with their offer/need/pitch. There is a difference between being genuine and saying what’s on your heart, and going out of your way to compliment someone. We humans are exceptional at detecting unauthentic phrasings and remarks – even in EMAIL! Compliment only if you really mean it. And remember to be brief if you need action from the receiver. Each E-Mail you send is more than likely saved or archived on your computer system or on the recipient's system; therefore, do not assume that an E-Mail message no longer exists, even if you delete what you received or sent. Your thoughts and interactions with others, via E-Mail, are archived and saved, potentially for posterity. In financial services organizations, all data must be saved for a minimum of seven years. Think about what you are writing and what legacy you are leaving through such communications. 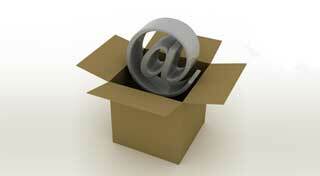 E-Mail communications can be presented in a court of law. One of the erroneous assumptions is that E-Mail is free. E-Mail is not by any means free. There are many direct and indirect costs associated within this medium. As mentioned in previous articles, it costs money for an organization to handle an inbound customer E-Mail. However, beyond this there are other costs. Spam or junk e- mail costs money to read, process, store and delete. E-Mail containing viruses has many side effects including loss in productivity and potential destruction of valuable information. Large attachments require additional space. Chain letters, forwarding of jokes and participation in flaming debates via E-Mail add to these costs. Recognize that every E-Mail interaction has a cost including your time, computer hardware and software costs and IT personnel time to maintain the systems. Be frugal with E-Mail; if you're not paying for it, someone else is. I am sure you would have received E-Mails with images so large in dimension that they jut out far in the empty space in your E-Mail window. Select Local and click Browse... Now select the desired image. Use the slider or the entry field to choose the desired width. Use a width that is less than 600 pixels... ideally, around 400 pixels. Save the resulting image on your computer - now you have a web-friendly image!